Looking for a creative tour to get your delegates out of the hotel room? Well, we just painted the town with 40 new murals! Sacramento&apos;s 10-day mural festival, Wide Open Walls, invited 50 local and internationally renowned artists to descend on the walls of Sacramento this past month. “The festival celebrates the relevancy and diversity of street art, and will transform walls and neighborhoods throughout the downtown area and beyond,” according to the festival website. In its second year, the organizers broadened the canvas to include more of the city and expanded opportunities for the community to participate and interact with the artists with live painting and gallery showings. For more details on Wide Open Walls, visit the event website. Over the last 40 years, Sacramento has had more than 600 murals painted in the region, and now there are tours to bring you up close and personal with these masterpieces. 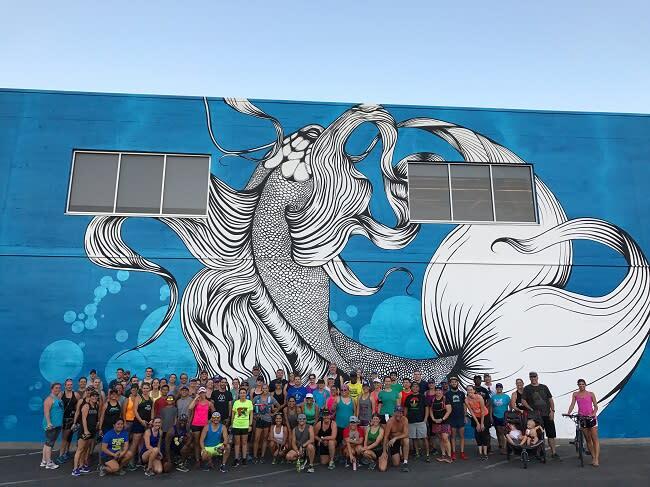 Sac Running Tours offer running and walking tours to Sacramento’s landmarks, historic places, and urban art. It’s a great way to see Sacramento -- a little exercise and a lot of inspiration will get your delegates creative juices flowing. For more tour information, click here or contact our Convention Services Department at ConventionServices@visitsacramento.com.